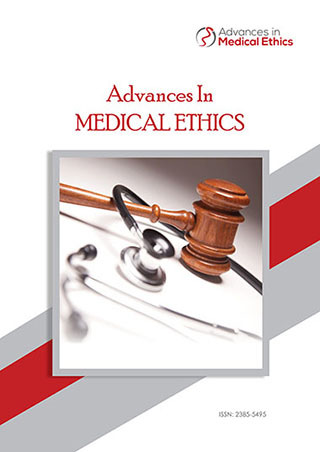 Advances in Medical Ethics publishes original contributions that have a high likelihood of shaping the application and direction of medical ethics. The journal’s content is of primary interest to medical ethicists and bioethicists and is of interest to clinicians, attorneys, and judges who are faced with ethical dilemmas in the course of professional practice. Advances in Medical Ethics maintains a rigorous peer-review process, yet we have a streamlined editorial process to expedite publishing timely topics. Advances in Medical Ethics is indexed by Google Scholar. In PubMed: Selected citations only. National Library of Medicine ID: 101673493. Advances in Medical Ethics accepts articles in a variety of formats including feature articles like short commentaries, review articles, research articles, responses, interesting case reports any many more. Examples of content areas which are not only limited to medical ethics include, conducting ethical medical research, end of life issues, ethical decision-making, euthanasia, genetic testing and advanced diagnostics, informed consent, medical and surgical practice principles, medical futility, organ and tissue donation, rationing, stem cell treatments, cloning, abortion-related researches and cases in favor or against, children immunization, vulnerable populations etc. How to implement systematic ethics work in nursing homes?